We got a hold of some sweet pics of the new model they’re coming out with. These photos are exclusive to BikeCommuters.com. In fact we were the first to break the photos through our Facebook fanpage. 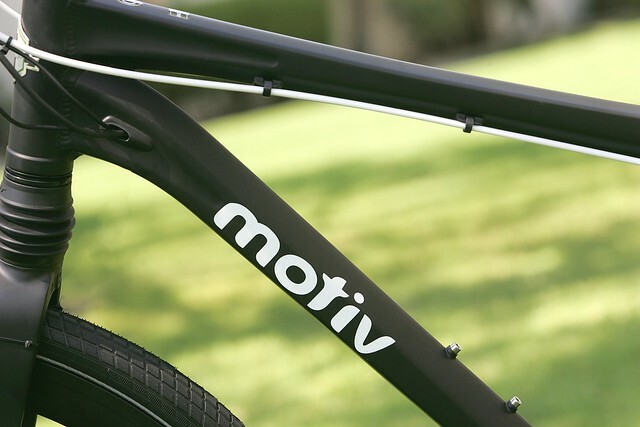 If you recall from a review we did of the Motiv E-bike we tested, it looked like a beach cruiser. But the new model seems to be more commuter friendly. 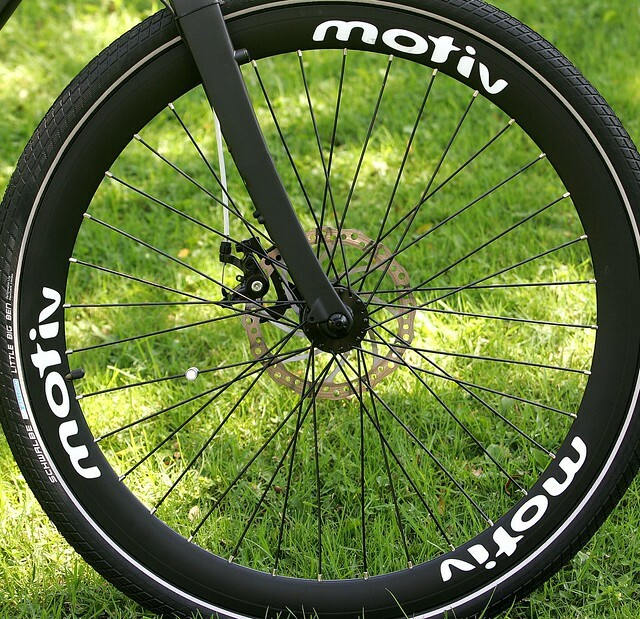 Disc brakes and deep v wheels, the logo is a nice touch. 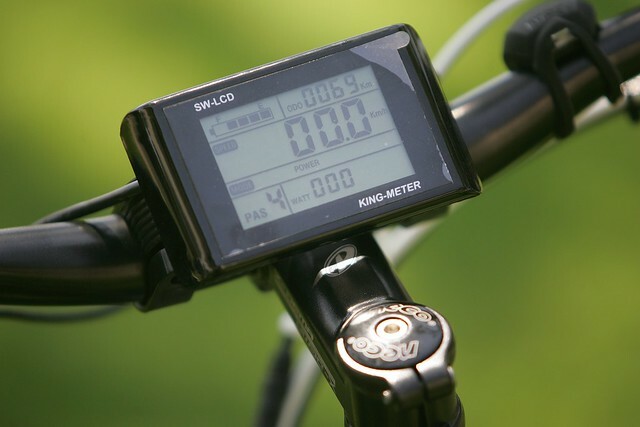 New digital display shows your speed, ODO, battery life and watts. This looks better! Hoping the rest of the frame has the same minimal/clean look. 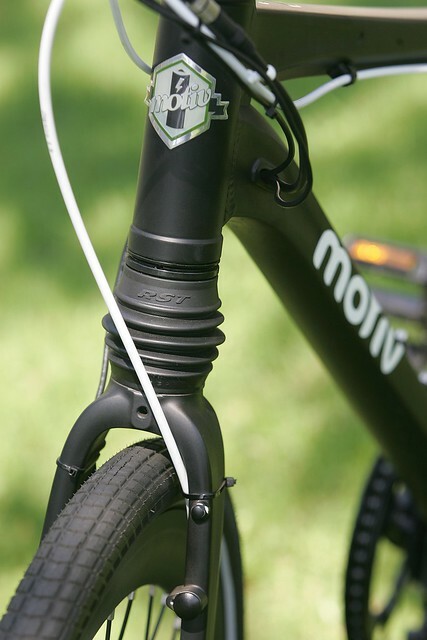 Also like the headshock, much better than the heavy but minimally-suspended forks you sometimes see on hybrids/e-bikes. I hate to rain on the parade, but this looks like “the shadow” which is already on their website slated for a 2014 spring release.